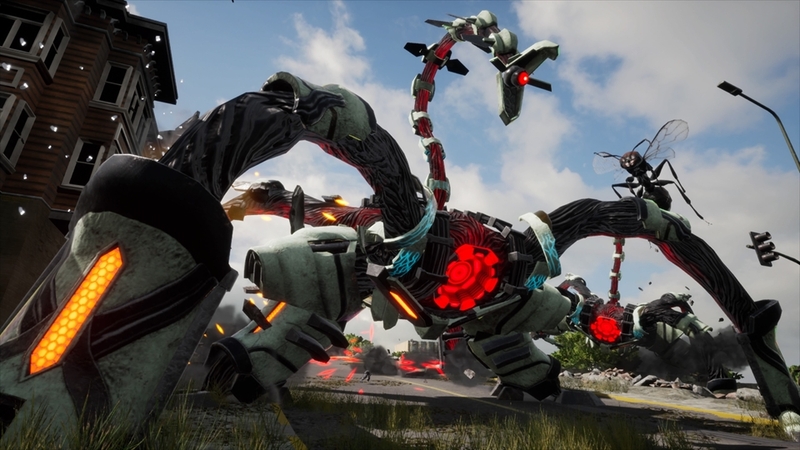 Earth Defense Force: Iron Rain is the latest entry in the EDF series, and is a spin-off of sorts. The stated goal of the game seems to be to appeal to westerners with a more “serious” story. It still mostly feels like an EDF game in terms of story and tone, though the gameplay feels a bit one step forward, two steps back. If you’re familiar with these games, the story is exactly what you’d expect. For those not in the know, the Earth is under siege from aliens known as Aggressors. Or sometimes the game refers to them as Ravagers. It can’t seem to make up its mind. Anyways, you play as a generic soldier that managed to take down one of the motherships. Unfortunately, you were caught in the ensuing explosion, and were in a coma for seven years. You wake up and immediately are thrown back into battle. From there, it goes on a series of rather predictable story beats with the goal of just annihilating as many aliens as humanly possible. This game features a story beat I didn’t expect though with the addition of a human faction that actually opposes the EDF. I don’t think their inclusion really adds too much in the grand scheme of things, but I guess it’s nice seeing new things in these games. The core gameplay remains as it ever was. It’s a third person shooter against hordes and hordes of enemies. 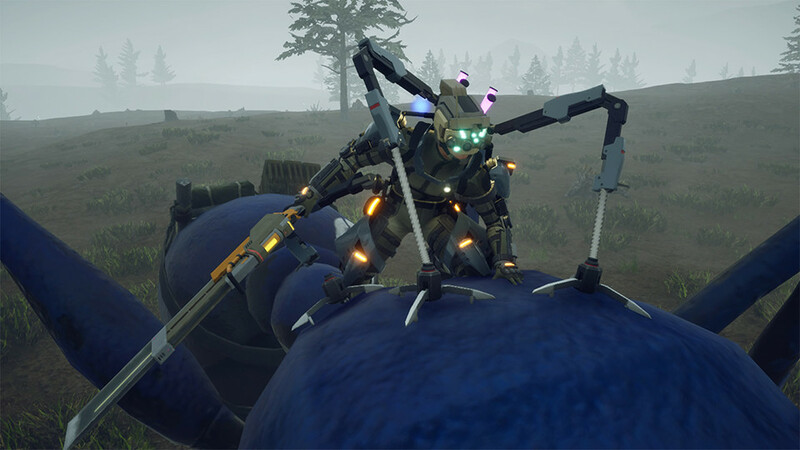 Enemies range from the basic giant ant, all the way up to towering robots. The shooting feels acceptable, but kinda lacks impact. Assault rifles and particularly shotguns just feel very weak and underpowered. There isn’t a lot of enemy feedback when shot, either. The enemy AI is very basic, typically traveling in a straight line to wherever you are to ruin your day. Most enemies have only one or two attacks that are fairly easy to avoid. To make up for this though, you’ll be having to deal with them by the dozens. The game progresses through a mission structure, each one lasting only a few minutes. It has a very arcade feel to it that makes it perfect for shorter play sessions. In past EDF games, you would find weapon drops and health upgrades dropped by defeated enemies. This game does things a bit different. You find energy gems from defeated enemies and you receive money at the end of each mission. New weapons seem to be obtained through completing a mission once. You can’t grind for weapons, or at least when I’d replay stages, I wouldn’t get anything else from them. You’ll have to tackle the stage at a higher difficulty to get anything more from that mission. I can’t really tell for sure if the weapons are handed out totally at random, or if each mission has specific rewards. I imagine if you complete each stage on each difficulty you’ll end up with a 100% complete arsenal. Though with 5 difficulties to choose from, that will take quite awhile. I typically don’t like grinding for random loot, though I’m not sure this system is adequate. EDF is very much a numbers oriented game, you need strong weapons to take out enemies fast enough. In past EDF games, if you weren’t feeling any of the weapons you had currently, you could easily replay missions to try to get something better. That’s simply not an option in this game, and I don’t think the weapons are doled out in a very consistent manner. There were even some types of weapons I never got until I started doing missions on Hard mode. Another issue there is that even after getting a weapon after a mission, that only makes it available for purchase. You’ll have to spend money and energy gems to buy them. At first, the cost is fairly reasonable, but if you start getting to Hard mode, you’ll quickly find that you’ll have to grind stages for money. So if handing out weapons only once after beating a mission was meant to cut down on grinding, needing money to buy things totally renders that moot. When you get higher rank weapons from higher difficulties, you’ll have to grind a stage multiple times just to buy one weapon. Compared to getting 5-10 weapons per stage in past EDF games, that feels rather restrictive. Not being able to grind for weapons also kinda hurts the core gameplay loop and replayability that other EDF games have. In past EDF games, it was almost always worth your while to replay missions, as you might get new weapons. In the recent EDF5, getting copies of a particular weapon will even upgrade that weapon a little bit. So there’s always rewards for jumping back in. In this game, the reward for jumping back in is just more money and more energy gems. You’ll need them of course to purchase weapons and items, but it’s just a lot less directly satisfying. A nicer feature is the added character customization. You can change your character’s physical appearance from a handful of different options. Even your gender can be changed at will. Tying into this customization are the four different “PA Gears” you equip. These are like little mech suits that alter some of your abilities. The default gear gives you decent mobility and an extremely fast dodge you can use to evade enemies. Flight gear does exactly what you’d think, it allows you to fly, but only relatively short distances. Heavy striker reduces your mobility significantly, but increases your defense, doubles up whatever weapons you have equipped, and gives you an energy shield you can use to nullify enemy attacks. The last one, prowl rider, is the most unique. Activating your Overdrive mode in this gear, a one-time use per mission ability that makes you stronger, will give you a certain enemy you can control. You can only choose between an ant, a scorpion, and a spider. It mixes up the gameplay quite a bit and offers something really different. In addition to this, the gear also has grappling hooks they can use to maneuver around the battlefield. In past EDF games, separate classes had entirely exclusive upgrades and weapons. To upgrade a class, you had to use it. In this game, you can freely swap between all these gears whenever you want. No weapons or equipment is exclusive to them. This is probably one of the better features of the game. You can choose different gears to suit whatever mission you’re doing. Heavy striker seemed the best, but for not the right reasons. Even with doing twice as much damage, enemies feel like they have too much health. Even using weapons I unlocked on Hardest difficulty, enemies on Easy and Normal would still take a bit too long to kill. One issue does crop up from the weapons being universal though. 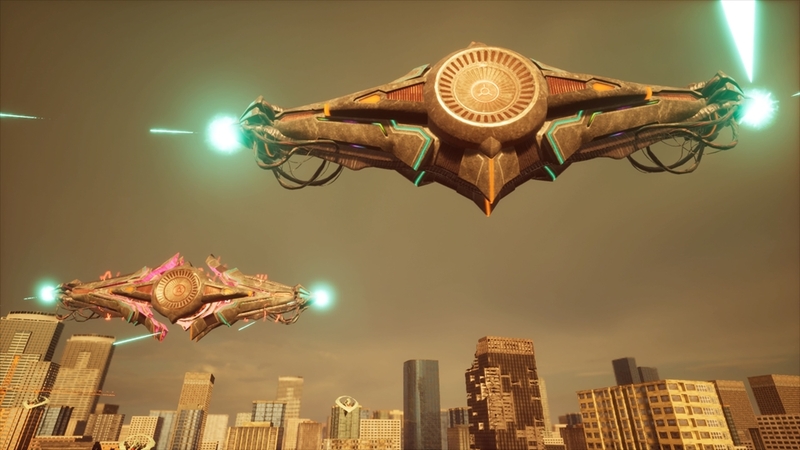 In past EDF games, only one class used energy weapons, so enemies weren’t really resistant to any particular weapon, it just wouldn’t be fair. This game though, some enemies are resistant to energy weapons. It’s really unfortunate for me, since energy weapons were easily some of my favorite weapon types. The enemies resistant to energy weapons also happen to be the toughest enemies in the game. There aren’t any enemies resistant to normal weapons, or at least the game made no mention of it. Meaning it’s just better in most cases to run with your typical assault rifles, shotguns, and rocket launchers. Anything that doesn’t just shoot normal bullets is basically a liability in the late game. There are also far too gimmicky weapons I feel. 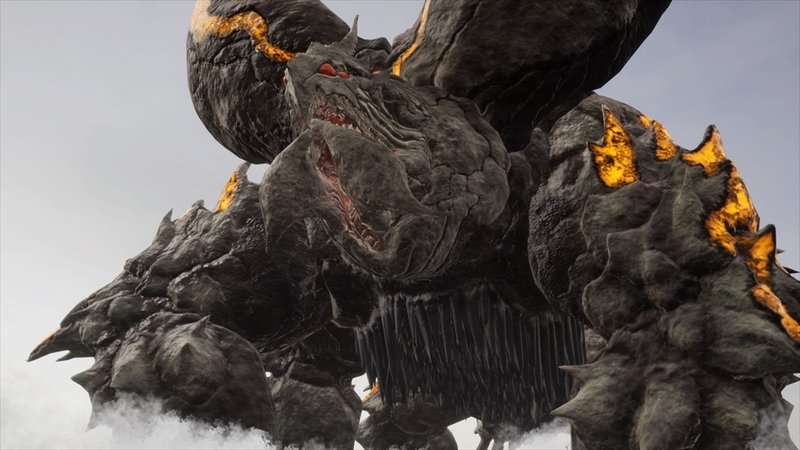 EDF weapons are certainly no stranger to odd weapons, but this takes things to the extreme. An assault rifle that’s incredibly weak, but 1 out of 1000 bullets will instant kill an enemy. A rocket launcher that deals insane damage but has laughably bad accuracy. The shotguns get it pretty bad. There were only two varieties of shotguns I found that acted like normal shotguns. Both were unfortunately plagued by ridiculously long reload times. Between all this, the two weapon limit, enemies being resistant to certain weapons, it can honestly be hard to find something you actually enjoy using. Is the appeal of past EDF games present in this one? Well, for the most part. Most of the gameplay changes I’m not sure if I can say are flat out better or worse, just different. The story has a mostly different feel to it, it’s a lot more low key. It still has a low-budget sci-fi movie quality to it, but just a moderately different tone. My biggest criticism of the story is that it has this core cast of characters, people that presumably fight alongside you. You only learn about what their deal is through little blurbs in loading screens though. Also if they were actually fighting alongside me, I was never able to tell apart from the generic soldiers. It would’ve been neat if they stood out in some way, both in the gameplay and the story. Another issue, or perhaps feature, if you’re a fan of these games, is the performance. This game will dip down to 20fps at the drop of a hat. It can make fighting a horde that has you surrounded rather difficult when the game turns into a slideshow. The voice acting performance is as stiff and as awkward as ever, though you are given the choice of just Japanese voice audio as well. Either choice suits the game just fine. Visually, this game isn’t exactly stunning, though fans don’t really come to these games for AAA production value. There’s also a very noticeable amount of texture pop-in when models first load, but it’s a minor issue. The character designs and overall style of the game is a little more realistic. Some classes in previous games like the Wing Divers had a highly stylized look. This game opts for a more function over form look to it. This might turn some folks off, but I really didn’t mind. They still looked nice, just in a different way. The alien designs are fairly different and slightly less outlandish than some of the stuff you’ll find in the mainline games. Again, I don’t think any of it looks bad though. In terms of music, the soundtrack fits the overall style of the game, but I’d be lying if I said any track was particularly memorable. 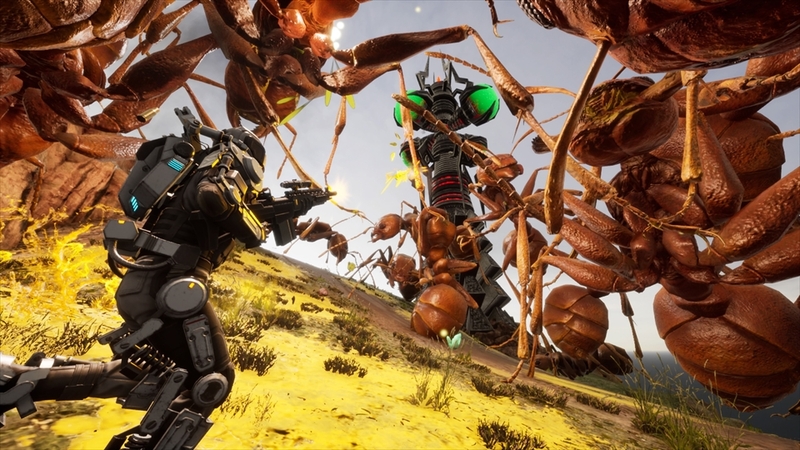 Is this an EDF game that EDF fans will enjoy? Honestly, I ended up feeling fairly disappointed. Which is a shame because I think there are a lot of neat ideas here. Weapons feel rather underpowered across the board, and enemies just have far too much health for their own good. Couple this with incredibly annoying AI, and it’s just a very frustrating experience. Suffice to say, it’s pretty lackluster compared to the mainline EDF titles. The game took me 10 hours to beat, though I put about a total of 30 into it with harder difficulties. At a $60 price tag, I can’t really recommend it. A sale might make this a more tempting offer. Overall, if you’re looking for a good EDF game, I’d give this a pass and look into the mainline titles instead.